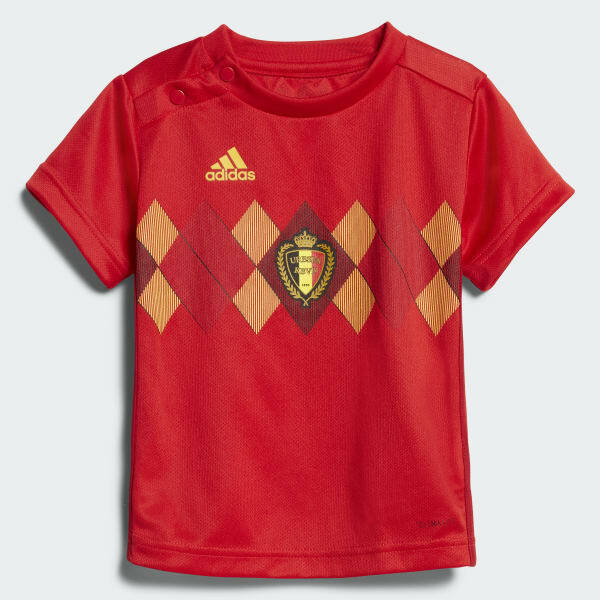 A kit for Belgium's littlest fans. Backing Belgium's national team is in their DNA. 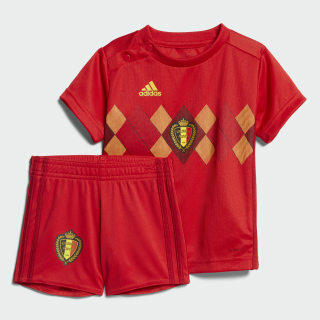 Dress your tiny Belgium superfan in the team's red and gold colours with this infants' football kit. Including a shirt and shorts, this pint-size home strip is styled after the one the team's superstars wear. It's made of Climalite to keep them dry and comfortable.